Johnie Roth, Jr. joined the Sandy Spring Volunteer Fire Department in March 1977 after beginning his volunteer career in Montgomery County in 1967 with the Bethesda-Chevy Chase Rescue Squad. Johnie has served in every Operational Position at SSVFD from Master Firefighter to Fire Chief. 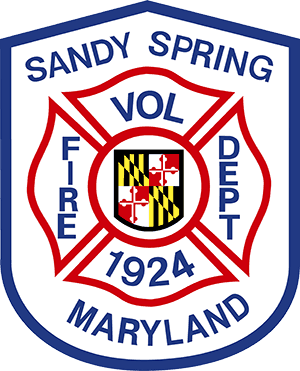 Mr. Roth was one of the original Paramedics for Sandy Spring VFD when Montgomery County instituted the Advanced Life Support Program. Currently, Johnie holds the Administrative Position at SSVFD as the President, which he has served numerous times. Johnie recently completed his 5-year terms with the Maryland State Firemen’s Association culminating as their President for the entire state. Mr. Roth is retired after 30 years working as a News Cameraman for NBC News in Washington, DC where he was assigned primarily to the White House. Johnie lives in Brookeville, Maryland and is married to Marcia who serves on the SSVFD Auxiliary and is going through the chairs of the Maryland State Firemen’s Association Auxiliary to become their President in 2018. The Roth’s have two adult children (Eric and Rachel) and they both serve with the Sandy Spring VFD Auxiliary.